Nest-building behavior has fascinated scientists for ages. It is known that this behavior is not driven entirely by instinct; individual quality, experience, and ability to adapt to changes have their roles in nest-building behavior. The usage of garbage in nest-building happens more often within birds. As pollution of environment increases, birds adapt to changes and incorporate man-made materials into nests. Birds exhibit different approaches to debris usage: they strengthen the nest structure by plastic strings, increase chances in successful mating by plastic decorations of bower, signal the quality and territory of individual by white elements in Black Kite nests (older birds incorporate more debris into nests, which turned into better breeding success) or repel ectoparasites in the nest with cigarette butts, as seen in House Sparrow and House Finch nests. In Europe, one of the best-known farmland bird is the White Stork. It is a large, migratory, wetland bird which, in its behavior, shows adaptivity and opportunism. Adaptivity means it nests close to human settlements, and opportunism means that, as in Western Europe, it forages on new “prey” – food waste in rubbish dumps. Moreover, 42 % of the white stork in western Poland incorporate rubbish into nests. In our study, we checked the type and preference of debris used, impact of individuals age. We aimed to answer which factors determine this behavior. We noticed the impact of the surrounding environment; the amount of debris in nests was higher in areas where the closest environment was more polluted. Therefore, it is possible that White Stork can be an indicator of plastic pollution. The most common debris used by storks were foil and plastic string – both elements are ubiquitous in farmland environments. We found a significant preference for foil during chick stage. We suppose that the foil may have an insulating effect, but a more detailed study is needed. Also, we found that older females incorporate a higher amount of debris to their nests. 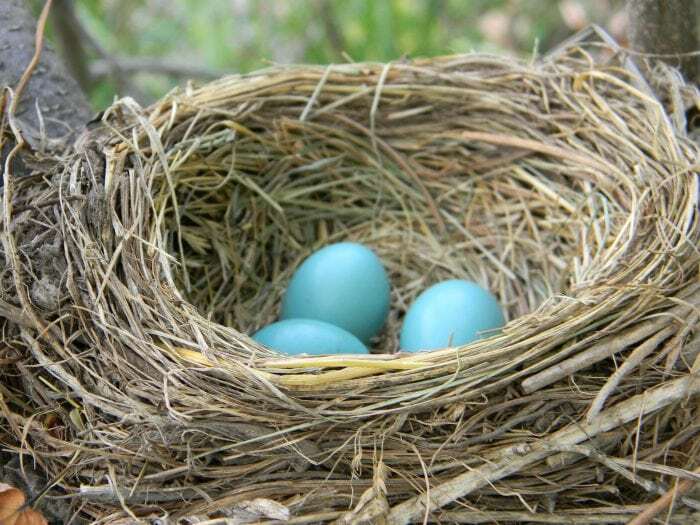 More experienced, older birds also could add a higher amount of debris in nests. Unfortunately, the usage of debris has its cost. During our 8 years of study, we noted 16 cases of chick entanglement, which ended up lethal. Not only is entanglement a threat, but so is ingestion – man-made material can be mistaken for prey. Until now, the knowledge about the drivers and consequences of this behavior is scarce. It is important that the usage of man-made material by birds is monitored and should be deeply tested. These findings are described in the article entitled Factors determining the occurrence of anthropogenic materials in nests of the white stork Ciconia ciconia, recently published in the journal Environmental Science and Pollution Research. This work was conducted by Zuzanna Jagiełło, Łukasz Dylewski, Dominika Winiarska, Katarzyna M. Żołnierowicz from the Poznań University of Life Sciences. Zuzanna Jagiello is a researcher at the Ponzan University of Life Sciences Department of Zoology.